﻿ Wallen, Elias. 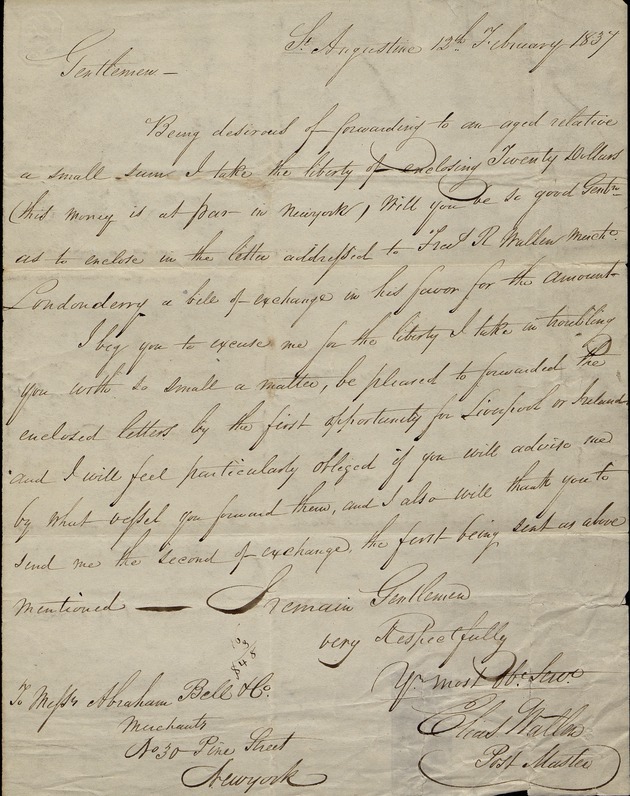 Letter to Abraham Bell & Co. Merchants St. Augustine. Feb. 12, 1837. Wallen, Elias. Letter to Abraham Bell & Co. Merchants St. Augustine. Feb. 12, 1837. /o,,:_ /C -^- ._ :.- /---i ,-- -,-, / ., .- .,* .. ,. -- A4 "C t -^Ac44 c "i"-) L -4"- ." - tc-" ,u 4, Ai - _-Sp X f ..a "^^ "
C.C.2 /" ' ii, --7i. /~\ ^/ t /^ ^ ^ ^ ? &4 cC / *-..s2^ ""
\. .; : R. .